Anybody remember this guy: Frack Master Chris Faulkner the CEO of Breitling Energy? I blogged about him a few times. The SEC issued an Initial Decision of Default. Frack Master was unable to respond appropriately so the initial decision became final. …the registration of each class of registered securities of Breitling Energy Corporation is revoked. 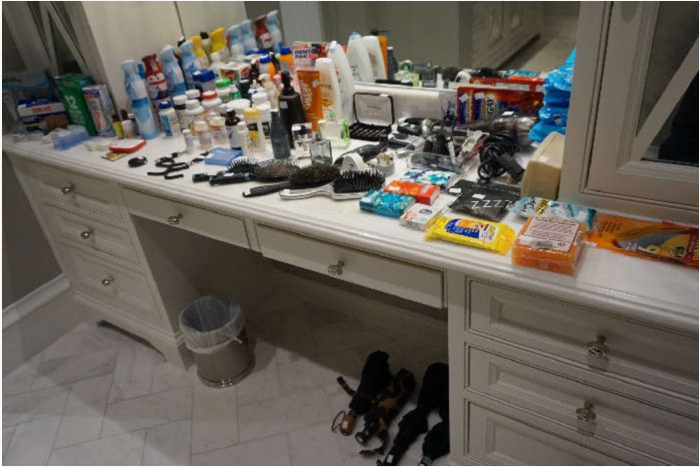 Before that happened, and after the FBI seized his fancy cars, there was an estate sale in which all the stuff he charged on his American Express card was sold. I did not go to the sale. My curiosity could not override the Frack Master creepy factor, although, “I do not deny that my heart has greatly desired this” a Big Boy. 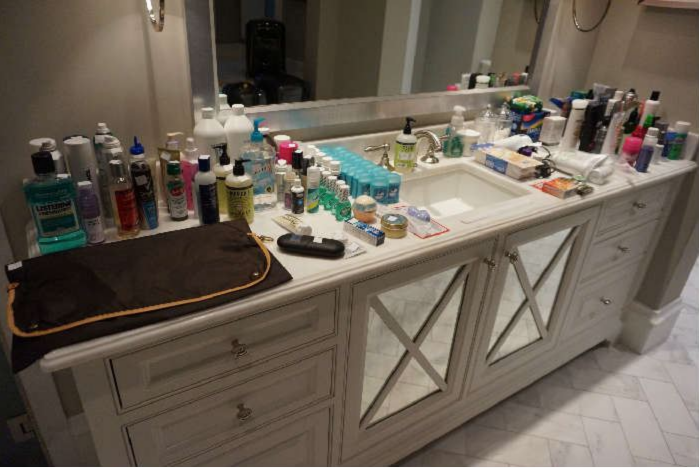 Estate goers could peruse Frack Master Chris Faulkner toiletry items and perhaps get a great deal on a giant bottle of Listerine or a lifetime supply of deodorant. Oh my, look at all those slightly used hairbrushes! Goodness knows that Frack Master Chris Faulkner had little use for those things. Really, go check out the estate sale items. The guy had some extraordinarily poor taste. I think I even saw, in his closet, those shoes he wore to the Denton Frack Ban Hearing. And suddenly there was Chris Faulkner. 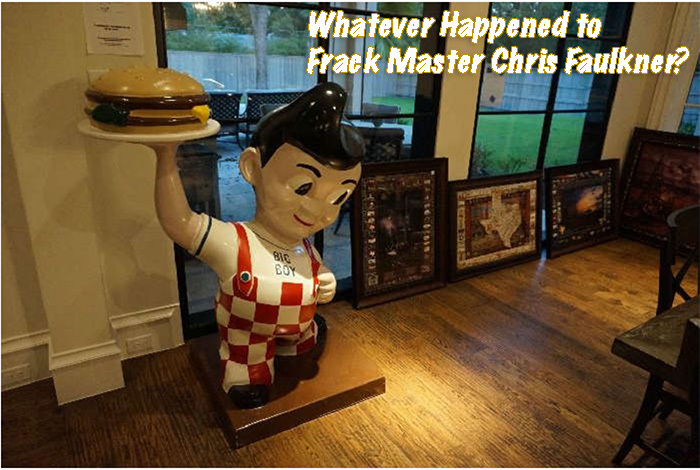 Frack Master Chris Faulkner seems to have disappeared–for now. There’s only one Frack Master. There are many like him, but he’s pretty unique. OH MAN! I wish i could see more pictures from the estate sale! He’s probably long gone and on to his next con! I have email stating that he has started new businesses. One claim is that he is part owner in Mimi’s Pizza in Dallas but I cannot confirm that so it’s just a rumor IMO. Maybe someone reading can confirm. Almost gave that man 2 million dollars, was saved by your articles. So good to know I helped someone avoid the scam. Thank you. what business did they say he started? Supposedly it’s a pizza place by North Park Mall. I don’t want to give the name because it’s just a rumor until verified. The email had some photos of him partying. It also claimed the pizza place is used to hide money. He has an account in the Cayman’s that was disclosed on the SEC filings. Yes, I am familiar with the pizza place. It’s owned by one of the individuals that is also listed in the SEC suit. The pizza place was used to hide money. They would have the pizza place cater lunches to the office and then have it invoiced for a very large sum and then said owner of pizza place would transfer the funds to the offshore accounts. It was very common.